We just got back from walking our legs off in Washington, DC, and I find myself longing for just one quiet, relaxing day by the ocean. Alas, I’m back to work with no beach trip in sight, so, instead of posting pictures from our nation’s capital, I’m going to share a few of my most treasured beach souvenirs. 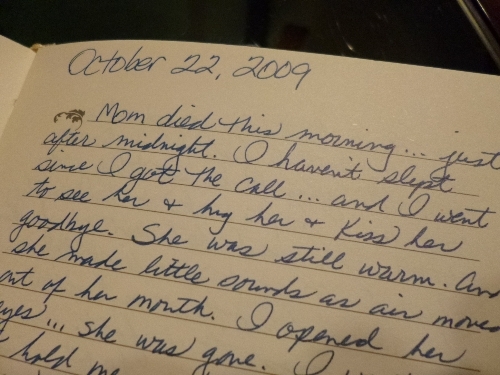 I was 22 when I saw the ocean for the first time. 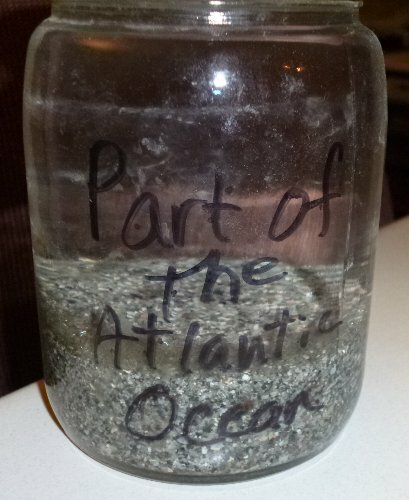 I was so excited that I promptly filled a pickle jar with water and sand as a souvenir. The jar now sits on a shelf in my laundry room next to a jar of water from Lake Michigan, circa 1967, and another from Lake Erie, circa 1977. It’s the strangest, smallest collection I own. We went to Hawaii in 1993. I was awestruck by a black sand beach on Maui. 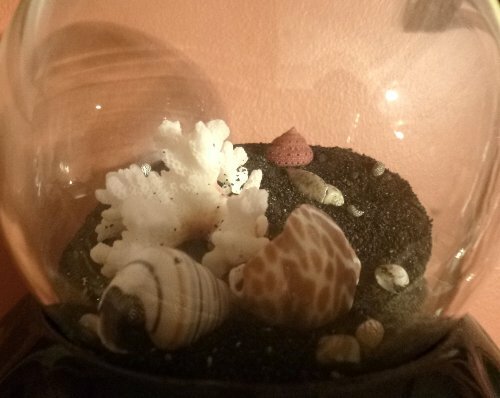 I scooped up the sand and put it in a glass ball along with a piece of coral and a few shells. I love the way the black sand looks like dirt! I found this shell on a beach in South Carolina. 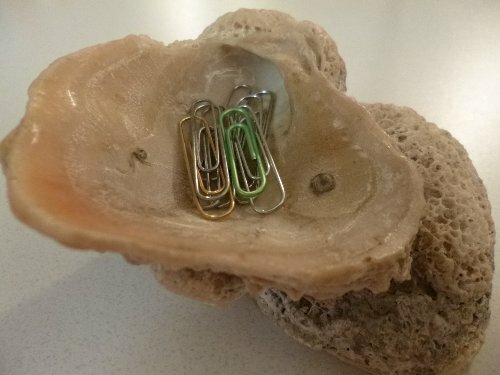 It has served as a paperclip holder for about 20 years. 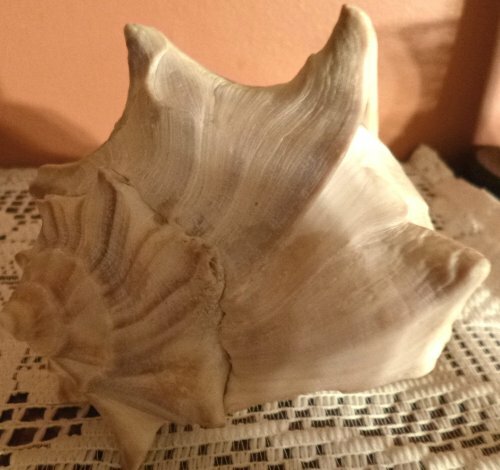 In 1990, as I left for a business trip to Florida, my five-year-old son asked me to bring him back a “big shell.” When I talked to him on the phone that evening, he asked if I had found the shell. I said, “No, I just got here, and I haven’t had time to go to the store.” He said, “Not the store! You just walk out by the ocean and pick it up!” I tried to explain that “big shells” are not that easy to come by, but he insisted. “Mama, you get up early tomorrow morning and go out on the beach. You’ll find a big shell. Bring it to me.” I said I would look. 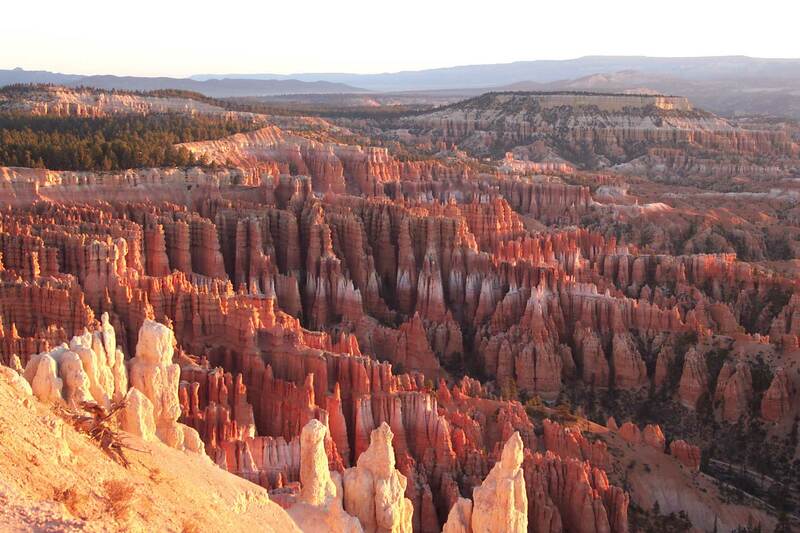 I got up early the next morning never thinking for a moment that I would be successful. But there it was, just as he said, waiting for me to pick it up. It’s the biggest, prettiest shell I’ve ever found on a beach. I wonder how he knew it would be there. 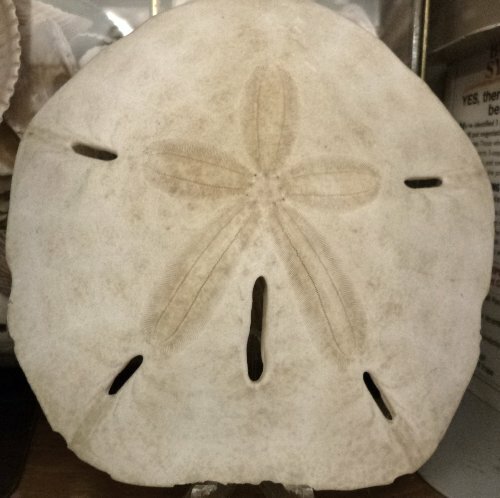 In 1989 I was in Florida and obsessed with the idea of finding a sand dollar. A local told me to dig with my toes around the sand bar, and sure enough, I found one. I was so excited until I realized it was alive! I hesitated for only a moment. I didn’t care. I had found my trophy, and I took it to my hotel room. The next morning, I was overcome with guilt. I had killed a beautiful creature just so I could display it. What kind of person does a thing like that? I cried and seriously considered throwing it away because I was so ashamed of myself for killing it. But then I thought doing so would be doubly shameful. So I brought it home, bleached it, and gave it a place of honor in my office. It’s still there, and when I look at it, I sometimes still feel a little ashamed and a little sad. It is the one and only “trophy kill” I own. Finally, here is a picture I took at Hilton Head Island in 2003. 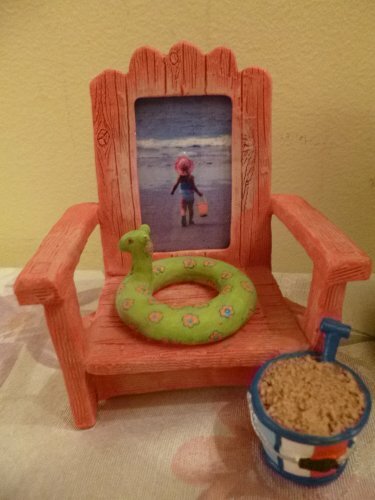 I found the beach chair frame in a souvenir shop, and I thought it was the perfect frame for the perfect picture. 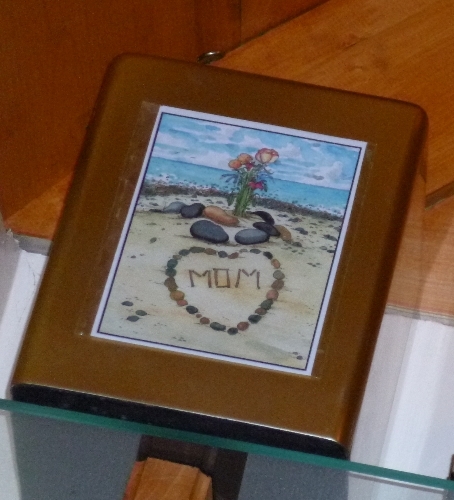 It makes me laugh to look at it, though, because it looks like the picture just came with the frame! There … wasn’t that more fun than the Washington Monument?